With the imminent launch of a brand new device, Samsung chose a central location in London right next to Tower Bride to demonstrate the power of its inbuilt camera. With uploading of images being a key part of the launch, coupled with heavy demand in an open air iconic space the request was to supply adequate coverage for an unknown volume of users with superfast speeds. 2 x PaWxe units covertly located around the site to ensure WiFi coverage and best 4G speeds. Two networks used, one for the production team and another for customers. As far as connectivity goes, it was trouble free with the PaWxe units providing great coverage over the event space and plenty of social media activity being uploaded onsite. The event itself was incredible. 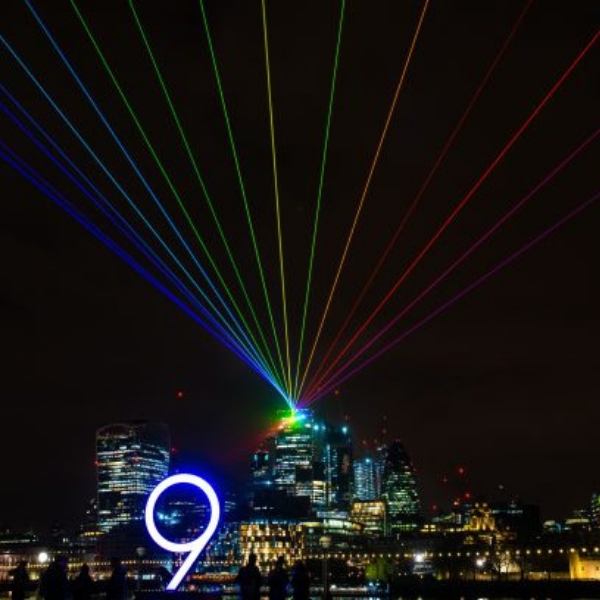 A laser show from one side of the river Thames to the other giving Samsung users the chance to really capture the full spectrum of colours using their cameras.